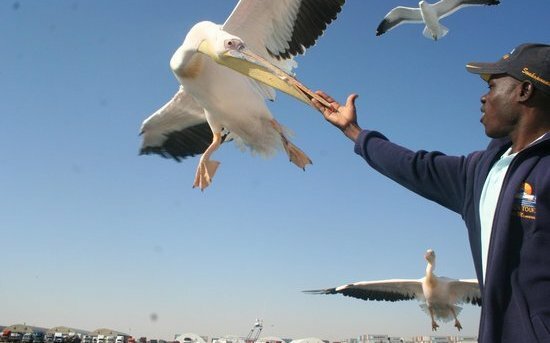 Laramon Tours is situated at the Walvis Bay Waterfront. 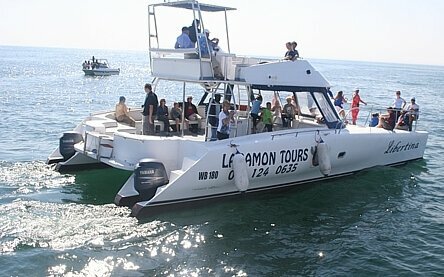 It has 2 motorised catamarans and can take up to 50 people between them. The catamarans offer ample space on deck, they are wheelchair friendly and children are more than welcome. 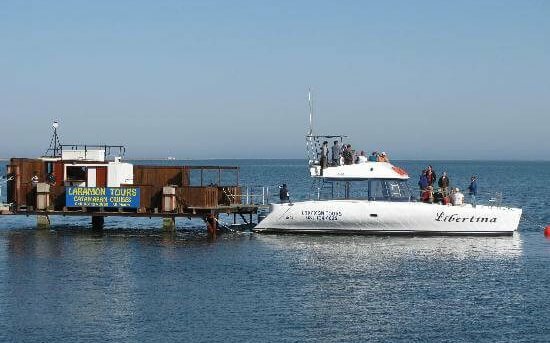 You will be able to see the harbour area, bird island, Pelican Point, the Oyster Farms and you will get to know our sea creatures. 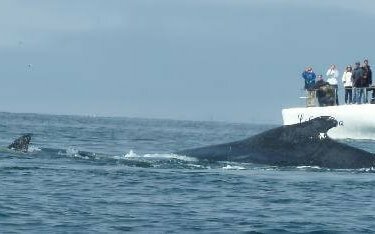 With Pelicans, sea gulls and cormorants flying around waiting for fish to be thrown, you will also see the seals and dolphins gliding alongside the catamarans. 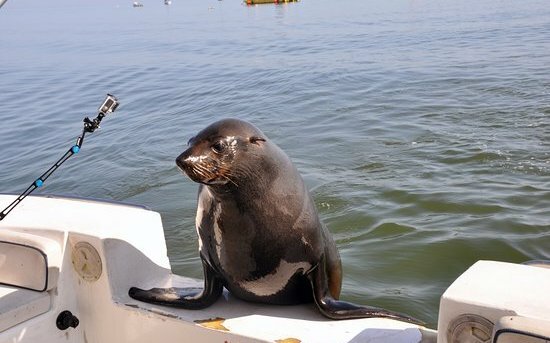 Sometimes we have seals jump onboard to say hi and come to get their fish snack onboard. 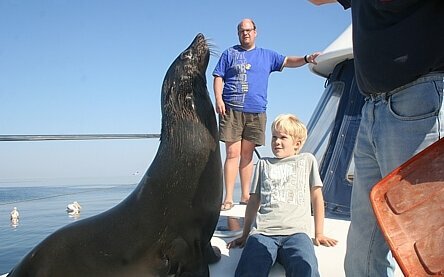 At Pelican Point you will find a large colony of Cape Fur Seals and the man-made bird island full of sea birds. 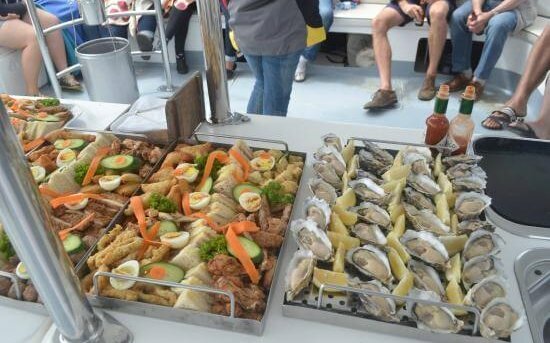 We offer snacks such as fresh oysters and champagne, after we went through the Walvis Bay Harbour, past all sea going vessles, crans, ships and other sights. Witness the smells and sounds of a working harbour and take home the memories of this tour.